Never a problem. Always give good service and no rip offs. Last visit I thought I had an expensive smashed wheel bearing. The noise the car was making. I left the car with them. They could have told me anything but charged me for only an adjustment needed to correct it. Thanks guys. 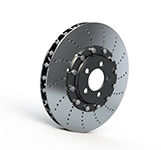 We supply and fit clutches for nearly all vehicles at very competitive prices, all of which are brand new, carry a full parts and labour guarantee and sourced from original equipment manufactures like LUK and Sachs. We do not fit inferior re-manufactured components thus ensuring a correct operation and an excellent service life, we also provide free advice and diagnosis of clutch related problems. Cambelts should always be changed at manufacturers recommended intervals. Failure to do so will usually result in serious and very costly engine damage. 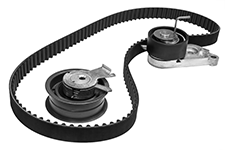 The cost of replacing a cambelt is a very small fraction of the cost of damage caused should it fail and cambelts rarely give you any warning before failure. Lockleaze Service Station only use top quality, original equipment specification cambelts. These are fitted using the correct specialist tools to the vehicle manufacturer's specifications. All of our cambelts carry a full 12 month parts and labour guarantee for your peace of mind. Lockleaze Service Station can supply and fit car brakes to almost any car.The rigours of stop/go motoring on today's overcrowded roads can place a lot of stress on brakes. So for maximum safety and peace of mind it makes sense to have your brakes checked regularly. Stop by at Lockleaze Service Station and our fully trained brake specialists will be happy to provide you with a comprehensive brake inspection. We stock a large range of discs and pads at very competitive prices, these can be fitted while-u-wait.